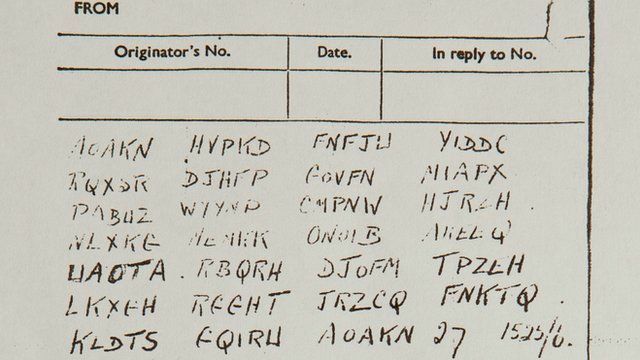 WWII code 'may never be cracked' Jump to media player Britain's top code-breakers say they are stumped by a secret code found on the leg of a dead pigeon. The original transcription of this code was provided by GCHQ who have now corrected it. The code reproduced here was amended on 30 November 2012 to reflect this.